Today we’re announcing a new way to reduce the cost of hiring and onboarding. 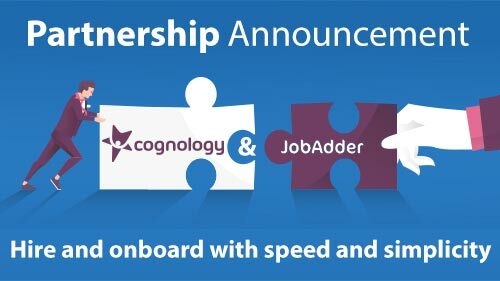 Cognology has joined forces with JobAdder to create an integration that customers can use to seamlessly hire and onboard with speed and simplicity. JobAdder is an innovative, end-to-end recruiting platform. Helping thousands of businesses in over 45 countries, they prioritize mobility, product innovation and world-class customer support.